After his result last weekend at The World Adaptive Surfing Champs, we decided to catch up with The Cornish one legged legend. 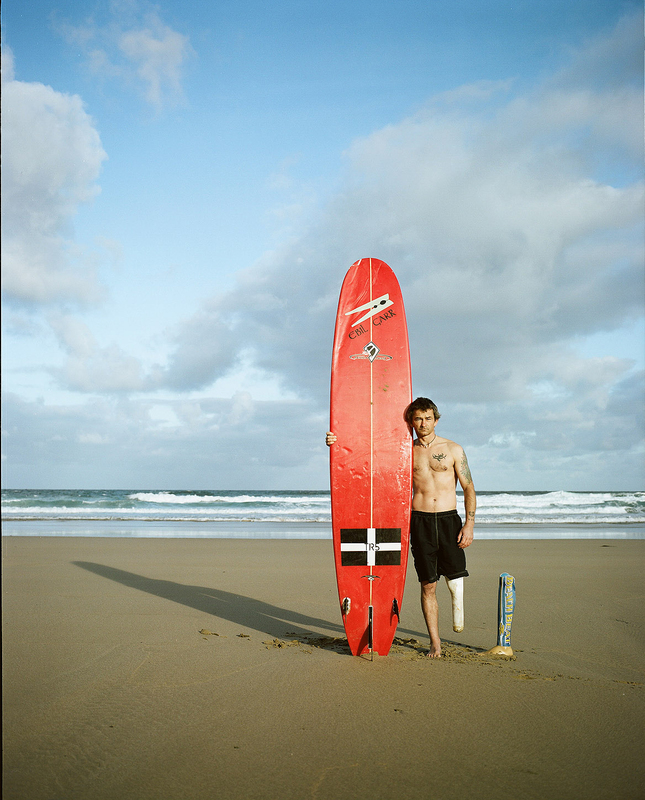 Rik Pegleg Bennett is somewhat of a local legend in Cornwall and whilst we’ve featured him in the mag over the years after he made it to the semi’s of the World Adaptive Surf Champs last weekend, we decided it was high time we had a quick catch up with him. First, for those unacquainted, here’s a bit of background: Pegleg was born was born without an ankle and had to have the lower part of his leg surgically removed. Almost fifty years later and he isn’t just still surfing, he’s absolutely charging, having spent much of his life travelling and surfing all over the world. He also made headlines at home a few years back after paddling out at his local during storm Hercules and taking off on a solid 8 foot bomb. WL: Hey Pegleg, can you start by introducing yourself? P: My name is Pegleg but Peg is fine and is what most people call me now. WL: And where are you from? P: I live between Aggie and Perran and class them both as my home breaks. WL: Obviously you’re pretty well known around these parts for your surfing abilities, but we also hear you climbed to everest base camp, and can you tell us about what motivated you to take on such a big mission? P: Yea, I’ve climbed Kilimanjaro and trekked to Everest base camp amongst other things including the 3 peaks challenge, Dartmoor challenge and loads of other stuff. I’ve run the London Marathon twice as well.I did these because it’s what I enjoy doing and enjoy a challenge. WL: You’re well known for officially changing your name to pegleg because you were tired of people being afraid to call you it because it’s not ‘PC’- what advice would you give to people on how to speak to and treat other ‘disabled’ sports people? P: I changed my name because I am known and called Pegleg/Peg more than Rik. The overly PC country we live in has made it awkward for me to be known by the nickname I had so I made it my legal name. Everyone is different and needs to be treated/spoken to In a way that fits them disabled or not. Respect for the individual is what its about. Not everyone shares my sense of humour when I comes to my leg (or lack of) but if it offends them that’s their problem not mine and they don’t have to listen if they don’t want to. 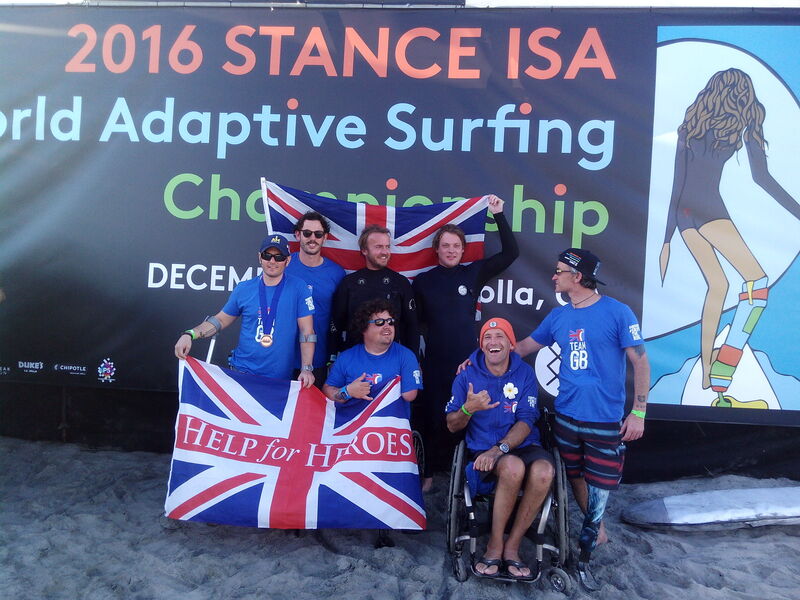 Peg and the rest of the British team at the World Adaptive Surf Champs. WL: Can you tell us a bit about the World Adaptive Champs at the weekend? how you got there? what it was like and how did you do in the comp? P: The adaptive surfing championships was an amazing experience. Its the first time I’ve competed and had no idea what to expect. I made the semi finals so am very happy with that but it was all about being a part of it for me and not about the placing. WL: Nice one Peg, cheers for chatting to us.